Every year Diwali, the festival of lights and happiness, ironically becomes a reason that adds to the woes of an already suffering populace. The mindless bursting of firecrackers on Diwali and on the days leading up to it immensely escalate the pollution levels in the country. 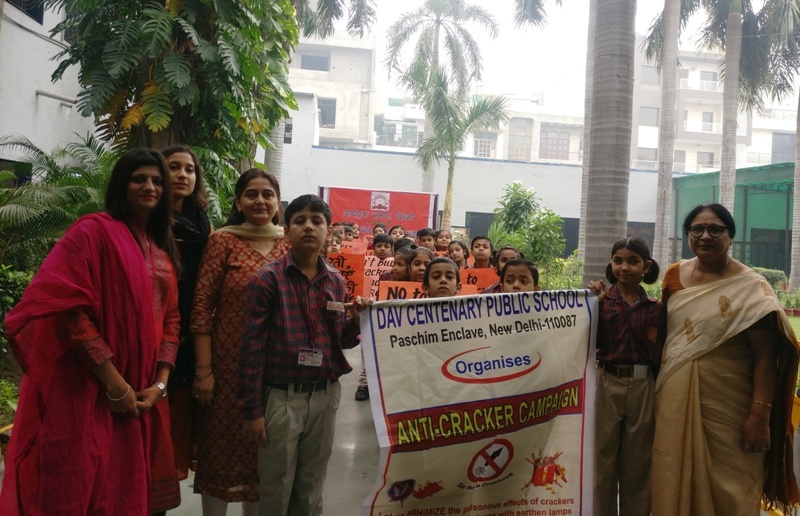 The children of Class IV of DAV Centenary Public School, Paschim Enclave gained insight about the ill-effects of bursting crackers and then decided to sensitize other people around them too. With thought provoking banners in their hands and awakening slogans on their lips, the students carried out an ‘Anti-Cracker Rally’ on November 02, 2018 in the school neighbourhood. The rally was flagged off by Ms. Usha Gupta, Supervisory Head of the Junior Wing of the school. 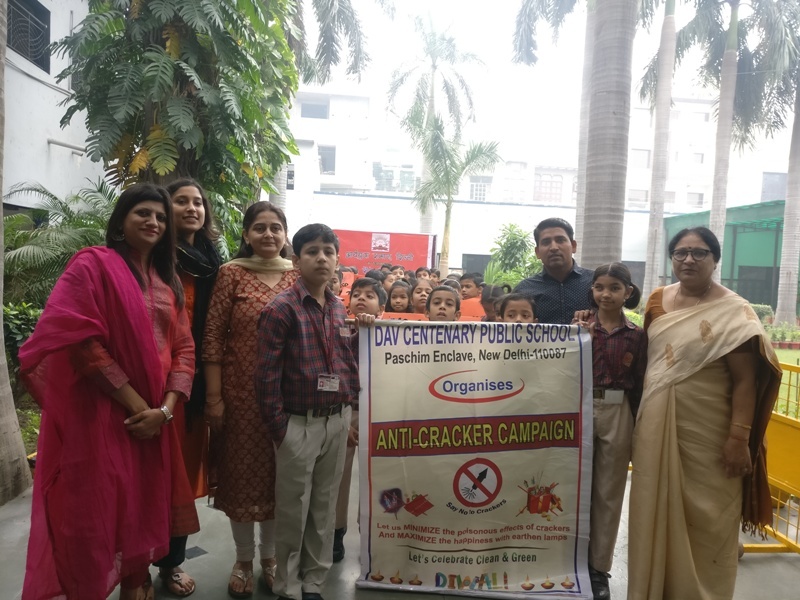 The children spread awareness about the grim consequences of bursting crackers and encouraged people to celebrate a green, environment friendly Diwali. The children themselves pledged to spread love, kindness, happiness and not poisonous fumes on this Diwali.